B-EZ Graphix | What Do Graphic Designers Make? What Do Graphic Designers Make? 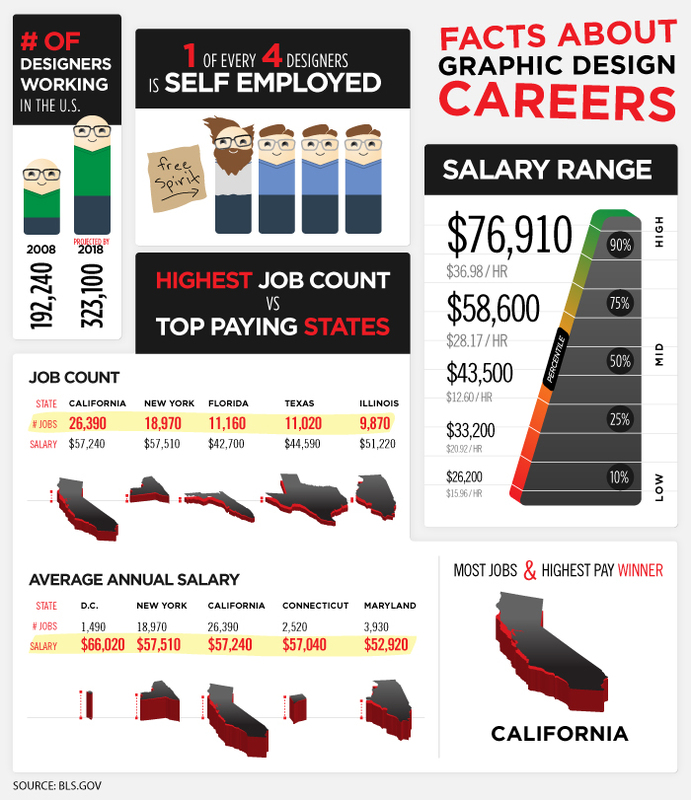 I came across this interesting infographic on Killerinfographics about how much a graphic designers earns according to some criteria. You will see how many designers are projected to work in the U.S. in 6 years from now, which is the U.S. state where you are better payed as a graphic designer, which is the salary range and more. Check it out! What Do Graphic Designers Earn? What do you think about this infographic? Do you like the graphic representation and what about the statistics?